LOTS OF PACKAGES AND UPG ON THIS BOAT!! We are only 3 minutes from Lake Texoma. We carry Xpress Boats, Veranda Pontoons, Silver Dollar Airboats, and Yamaha Motors. 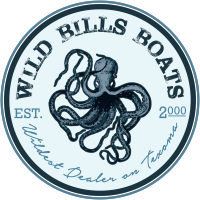 We also offer boat parts, service, and financing! We are open everyday from 8am-6pm. Come see us!